This is my second monthly column for the website 3 Quarks Daily. We live in a fractured age when many seem to be convinced that their beliefs are right, and that they can never agree with the other side on anything to any degree. Science has always been the best antidote against this bias, because while political truths are highly subjective and subject to the whims of the majority, most scientific truths are starkly objective. You may try to pass a law by majority vote in Congress saying that two and two equals five, or that DNA is not a double helix, but these falsehoods are not going to stay hidden for too long because the bare facts say otherwise. You may keep on denying global warming, but that will not make the warming stop. What makes science different is that its facts are true irrespective of whether you believe they are true. But combined with this undeniable nature of scientific facts exists a way of doing things that almost seems paradoxical to proclamations about hard scientific truth. That is the essential, never-ending role of doubt, skepticism and uncertainty in the practice of science. Yes, DNA is a double helix, and yes, it almost seems impossible that this fact will someday be overturned, but even then we should not hold the fact as sacrosanct. "Truth" in science, no matter how convincing, is always regarded as provisional and subject to change. Some scientific facts are now so well documented that they approach the status of "truth", and yet considering them so literally would mean abandoning the scientific method. Seen this way, truth in science can be considered to be an asymptotic limit, one which we can always get closer to but can never definitively reach. It's this seemingly paradoxical and yet crucial yin-and-yang aspect of science that I believe is still quite hard to grasp for non-scientists. Niels Bohr would have appreciated the tension. Bohr bequeathed to the world the concept of complementarity. Complementarity means the existence of seemingly opposite ideas that are still required together to explain the world. In the physical world, complementarity was first glimpsed in the behavior of subatomic particles which can sometimes behave as waves and sometime as particles, depending on the experiment. Waves and particles may seem to be contradictory concepts, and yet as the pioneers of quantum mechanics showed us, you cannot explain reality without assuming that electrons or photons are both. In his later life, Bohr extended the idea of complementarity to many aspects of the human world; good and evil, freedom and restraint, war and peace. He realized that all of these seemingly paradoxical aspects of the human and physical world have to essentially co-exist, not just if we want to understand reality as it is but if we want to develop tolerance for opposing ideas. Niels Bohr played a very significant role in making us comfortable with paradox and uncertainty. In some sense the twentieth century was the age when science once and for all destroyed Platonic notions of certainty. The one idea from that time that really struck at the heart of certainty was Kurt Gödel's incompleteness theorem. Gödel showed us that we can never know everything even in the supposedly pristine and completely precise world of pure mathematics; even in this world we could keep on finding facts that are unprovable, and so mathematics will always be inexhaustible. At about the same time, Max Born and Werner Heisenberg demonstrated the fundamental probabilistic nature of the subatomic world. In one way, neither of these ideas destroyed certainty as much as they redefined it, but they did tell us that certainty is a very slippery concept, and one that needs us at the very least to recalibrate our expectations from both the physical and the abstract universe. 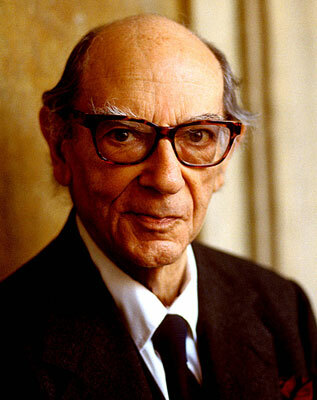 At the same time, neither development portended the end of science in any shape or form; mathematicians went on proving important theorems in spite of Gödel, and physicists went on discovering important facts about the material world in spite of Heisenberg. Some people are confused about how certainty and uncertainty can both co-exist at the same time in science, while too many opportunists (creationists and climate change deniers for instance) are ready to pounce on shreds of uncertain knowledge in the peripherals to declare the entire edifice uncertain and hollow. As science communicators, I think that we still fail to convey this co-existence of hard facts and room for doubt to non-specialists, and this failure is a significant reason for so many of our troubles in establishing a dialogue about science with the public. 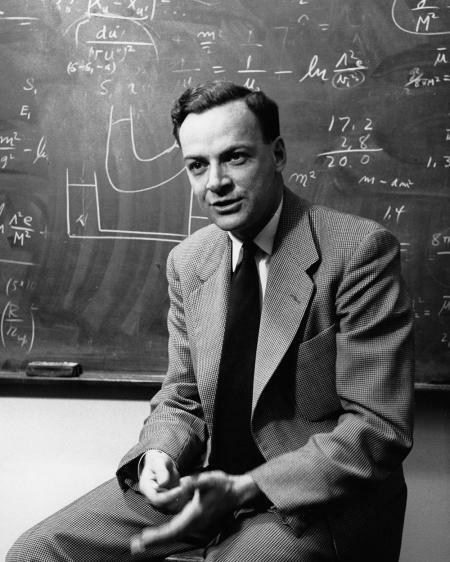 One of those few who did a remarkably accessible job communicating the role of uncertainty in science was Richard Feynman. In "The Pleasure of Finding Things Out", he made the point that many people look for certainty as an emotional aid; hence the rise of systems like religion. But as Feynman says, the only way we can make scientific progress is if we remain skeptical, if we expose even the best-known facts of science to the glare of doubt. To do this requires fearlessness, the courage to abandon even your most cherished beliefs in the face of evidence. But the scientists of lore understood well this need for courage. There is a reason why the Royal Society, when it was founded in 1660, chose at its motto the Latin phrase "Nullius in verba": Nobody's word is final. At the time, this way of looking at the world, of not regarding any authority including the King's as the final word, was a novel and revolutionary way of doing things. It marked a great transition from the age of kings to the age of reason. “I can live with doubt and uncertainty and not knowing. I think it’s much more interesting to live not knowing than to have answers which might be wrong. I have approximate answers and possible beliefs and different degrees of certainty about some things, but I am not absolutely sure about many things, and there are some things which I don’t know anything about…such as whether it means anything to ask why we are here, and what the question might mean. Skepticism engendered by fearlessness is an integral aspect of science; not only as some formal, abstract protocol, but as a necessary tool without which progress would be impossible. I would say the same attitude applies to the conduct of our social and political affairs, although as current events demonstrate, it's been exceedingly difficult to profess doubt and uncertainty in the political arena. Today I find myself troubled by what I see as the misplaced conviction and lack of skepticism on both the left and the right in this country and in other lands. The real problem of course is not lack of skepticism in the beliefs of others but skepticism regarding one's own beliefs: as Feynman again memorably put it, "The first principle is that you must not fool yourself, and you are the easiest person to fool." The bedrock of presumed certainty in what one sees as hard, incontrovertible facts not only roots one's beliefs in certain sacred values, but it often simply precludes one from understanding subtleties and rationally responding to arguments on the other side. The concept of sacred values was popularized by the psychologist Jonathan Haidt in trying to explain why otherwise intelligent people sometimes become irrationally wedded to their viewpoints. The central reason is that humans tend to infuse scientific facts and findings with their own preconceived moral meanings. Once that happens it becomes quite difficult to accept or agree with facts that seem to collide with those values. This knee-jerk disapproval manifests itself on both sides of the political aisle. The right is too skeptical even of the basic facts of global warming, while the left holds the science of global warming perfect and sacrosanct and believes that the science is largely settled. The right believes that genetics and race play a disproportionate role in mental qualities like IQ and creativity, while the left believes that environment can almost completely compensate for any such differences. In fact the left fears the right’s viewpoint so much that it gropes for support for the equality of all human beings in science, even when science and human value systems should really be kept separate from each other. The right looks into science for the contention held by some of its members that one gender may be inferior to the other. The left is so fearful of this contention that it is quick to interpret any studies demonstrating even subtle or uncontroversial gender differences as evidence of discrimination against one gender or another. Generally speaking, the right is quick to point out differences rather than similarities while the left is quick to assume that pointing out differences is tantamount to pointing out inferiority or superiority. The left's sacred values are purportedly equality and justice; the right's are purportedly freedom and God. Each side is frightened to give even a little ground for fear that the other side may declare victory. This fear is causing both sides to closet themselves into bubbles and echo chambers, into rejecting - as is being done on college campuses for example - even the possibility of exposing themselves to the other side's viewpoints and engaging with them. And the profligacy of social media, because of its ability to quickly surround yourself with like-minded people, creates an enduring illusion of your convictions being absolutely right. "The central values by which most men have lived, in a great many lands at a great many times—these values, almost if not entirely universal, are not always harmonious with each other. Some are, some are not. Men have always craved for liberty, security, equality, happiness, justice, knowledge, and so on. But complete liberty is not compatible with complete equality—if men were wholly free, the wolves would be free to eat the sheep. Perfect equality means that human liberties must be restrained so that the ablest and the most gifted are not permitted to advance beyond those who would inevitably lose if there were competition. Security, and indeed freedoms, cannot be preserved if freedom to subvert them is permitted. Indeed, not everyone seeks security or peace, otherwise some would not have sought glory in battle or in dangerous sports. Justice has always been a human ideal, but it is not fully compatible with mercy. Creative imagination and spontaneity, splendid in themselves, cannot be fully reconciled with the need for planning, organization, careful and responsible calculation. Knowledge, the pursuit of truth—the noblest of aims—cannot be fully reconciled with the happiness or the freedom that men desire, for even if I know that I have some incurable disease this will not make me happier or freer. I must always choose: between peace and excitement, or knowledge and blissful ignorance. And so on." It is the inability to grasp this fundamental tussle between different values that in part leads people to believe in holy truths. Human beings are uncomfortable with multiple answers, especially if they seem contradictory; but multiple, contradictory, complementary answers comprise the very essence of the world. Berlin however is honest and reflective enough to admit that he sees no straightforward solution to the dilemma. This is perhaps because the only solution is to admit the dilemma and live with it, to respect a plurality of opinion and abide by the views of multitudes, to recognize that the contradictions that man presents are the contradictions that man contains. In fact this reconciliation with differing views lies at the heart of both liberal democracy and scientific exploration. Ash, this is one of the finest things you have ever written; well done. That's very flattering - thank you! That was a totally awesome analysis of the very common misunderstanding of science! Thanks for posting it. As an engineer, I look on the work of scientists with large amounts of respect--doing good science (asking the right questions, imagining fitting hypotheses, and designing discriminating experiments) is *hard*. We engineers depend totally on the hard work that scientists do. That being said, there was a sign in the University of Notre Dame's Electrical Engineering school (where I went to grad school): "Scientists discover what is; Engineers create what has never been. I don't know whether this is recursive or not, but I interpret this as saying our principles need to be somewhat flexible and contingent, but perhaps our metaprinciples (how we derive our rules, how we observe and interpret what goes on around us) shouldn't be. We have to be honest with ourselves and others, we can't stop looking, and we can't exclude the possibility of new facts or ideas. If these rules are compromised, it's much harder to accurately derive principles or follow them. At this point, doubt and compromise are seen as weaknesses in politics; in that environment, it is difficult for people to admit the limits of their knowledge and logic. Discussing ideas requires honesty , and when people are not honest, it is difficult to talk to other people - no one wants waste time on discussions based on fantasy, and if such discussions happen often enough, people presume dishonesty from others and don't want to talk to them at all. This is a nice synthesis. Indeed. Your point about basic honesty reminds me of something Obama once said about establishing a baseline of truth, in the sense of saying "Let's agree that we believe in X. Then we can agree to disagree about Y". The problem is that if there isn't even a modicum of shared agreement on an issue, how can you possibly reach common ground? One keeps on trying though, since giving up would be worse. We might not be able to agree - some principles don't have room for compromise (though we may consider the set of uncompromisable principles larger than it has to be) and sometimes we just do see things the same way. That might be helpful. If we see the same facts and disagree on what to do with them, then we should be able to live with that. It seems like (some) liberals and conservatives are seeing different facts, and if that the case, it's pretty hard to talk and hard to decide that it's even worth talking. If we stop talking (or caring about what the other p, then what comes next? I don't see any good options and lots of bad ones. ...or caring about the other people or their concerns)...Ack. Correct. At this point I am hoping that we can at the very least agree to not disagree violently. I agree. Yuval Harari makes a good case for religion in his books when he describes it as one of several fictions uniting very large groups of people. And of course, religion is not just about belief; it's about community, it's about family, and it can be about great art or music. It's interesting to realize how much Greek philosophy (including Greek science) influenced Christian theology during its evolution. The meld of science and religion goes deeper than what some people believe in my opinion. Of course, you are absolutely right about the early influences - I was glad to find the principle of turning the other cheek, which one would think of as typically Christian, to be part of the Socratic dialogues 500 years before... And you are right about community and family. But I think there is also something else there: it provides a balance from what Solzhenitsyn in his Harvard commencement address of '78 calls "humanistic autonomy: the proclaimed and enforced autonomy of man from any higher force above him". Anyway, thanks for the reply and a great read. Always a real pleasure to read your blog. An excellent, and very wise post.